Rate this Article Wizard 101 is a really addictive game that many people login to enjoy every single day. One of its prime attractions are the incredible mounts that it offers players and in this article we’ll be shedding some light on these mounts and talking a little bit about why they’re so incredible. The main thing that sets the mounts in Wizard 101 apart from mounts in other games is the fact that the variety is just amazing. You’ll find that this game has multitudes of different kinds of horses that players can acquire and use for themselves. On top of all this another really impressive thing is the fact that each horse not only looks different but has different characteristics and stats as well which shows that a lot of effort goes into making all these things. Onto the mounts themselves, you simply cannot have a discussion about amazing mounts without mentioning the Pegasus somewhere in it. The Pegasus is a breathtaking horse with wings and of course the ability to fly. The beauty of this mount lies in its mesmerizing white color which has the potential to turn many heads and this white color is often complemented by other colors to give this mount another layer of beauty. 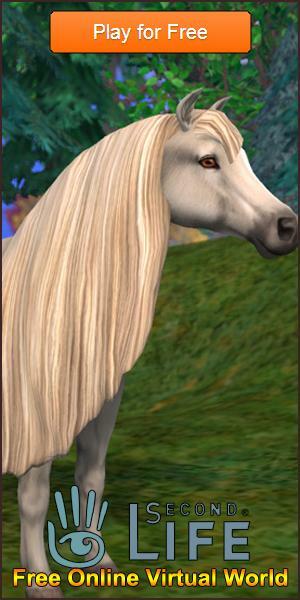 One mount that pretty much every single person has probably heard of is this Unicorn and fortunately, Wizard 101 has Unicorns that players can acquire. The defining trait of these is of course the horn that’s on their head but the ones in this game are unique because they often come with some rather colorful Manes that enhance their beauty by tenfold. A really nice thing about these is also the fact that smaller ones can be acquired as pets. While the Pegasus and the Unicorn are pretty common mounts, Wizard 101 does have its fair share of unique horses that you’ll only find in this game and nowhere else. The Ghost Horse comes to mind when discussing such mounts. As you could probably guess by the name, this horse has a rather ghastly look and a light-ish blue color that almost seems transparent enough to actually see through. The Ghost Horse is quite fast as well so it’s definitely one of the most popular choices out there for the players. Alongside the Unicorn, one of the most unique mounts of Wizard 101 is the incredible Crystal Unicorn. This mount, as you could guess, is basically a crystallized version of the standard Unicorn but alongside that it has some other great traits as well such as speed increase and a percent boost on all statistics which can prove to be extremely useful at times. All things considered, Wizard 101 has some really incredible mounts that the players can utilize and the few we’ve mentioned above are just the tip of the iceberg. Needless to say, we recommend trying the game out so you can see these mounts in all their glory and experience the thrill of riding them across the game world.